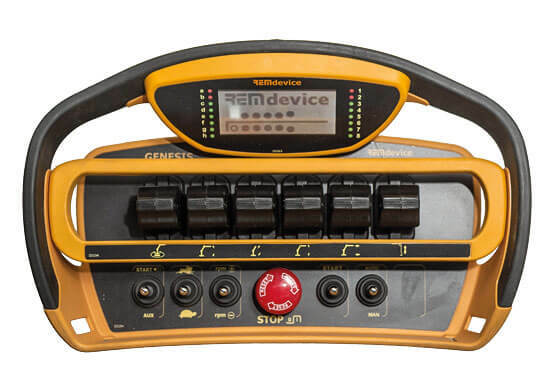 Fully isolated from dust and humidity, the Genesis has been designed to extend possibilities to the max. It relates to the most demanding applications. 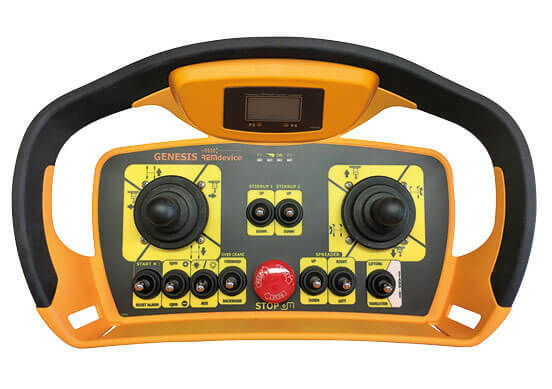 Simple and effective in any working environment, it can house various types of actuators, joysticks, selectors and potentiometers, buttons. The device comes in 2.6” and 3.2” displays. 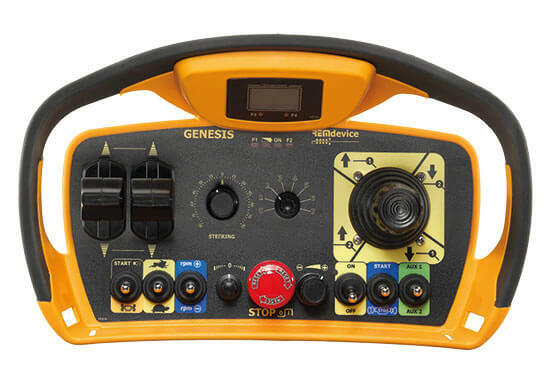 The Genesis is a universal platform that covers applications from logistics to lifting. Covering marine, rail transport and excavation for every type of crawler. The device can also be used in aerial applications and in the forestry and mining industry. It’s recognised to work in conjunction with the innovative (patented) wireless induction recharging system.